Two neuroscientists, Judit Makara and János Szabadics, from the Institute of Experimental Medicine (MTA KOKI), Gábor Pete, from the MTA Alfréd Rényi Institute of Mathematics, and Gábor Egry, from the Institute of Political History, submitted a successful application for the Consolidator Grant of the European Research Council (ERC), which is awarded to excellent scientists with their own research group. The winners can launch a five-year-long research program not exceeding the two million euro budget. The European Research Council (ERC) operates the largest grant system for innovative research in the European Union. Its task is to provide attractive, long-term financial support for pioneering, high-risk but highly promising research projects. The Consolidator Grant is for researchers who head their own research group and have an independent research program which still needs to be stabilised. Researchers can apply for the maximum two million euro grant with five-year-long feasible project proposals promising an outstanding discovery or a scientific breakthrough. Altogether 2,538 applications were submitted for the Consolidator Grant in 2017, 13% of which (329 project proposals) were selected by the jury as winners. The total sum of the grants awarded this year is 630 million euros, provided by the Horizon 2020 program of the European Union. It is notable that 32% of those receiving the grant are women, and the five-year-long research projects launched this year will create 2,000 new jobs. Judit Makara (MTA KOKI, Institute of Experimental Medicine) researches dendrites, that is, those branching extensions of neurons that receive information. Her research group focuses on the brain area which plays a key role in memory processes, namely the hippocampus and more precisely, on the so-called CA3 area, which is considered to be crucial for associative memory storage and recall, owing to its network structure. János Szabadics’s MTA KOKI research group examines the longer extensions of neurons, the axons. The small-diameter axons provide a huge network for the nervous system. They carry nerve related information from individual neurons to thousands of other neurons. Although the role of these tiny cell parts is enormous, we do not know enough about them. One reason for this is that average-size axons have not been examinable to a sufficient extent with the available examination techniques. 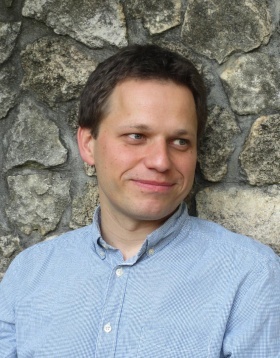 Gábor Pete is a research fellow at the MTA Alfréd Rényi Institute of Mathematics. His main interest is probability and statistical mechanics. In his ERC-awarded project he is to examine the noise-sensitivity of functions. In real-life applications in most scientific fields, it is a common phenomenon that functions with several variables are applied. However, as the input is noisy, it can only be hoped that the noise does not influence the results to a great extent. Unfortunately, some functions that are crucial for applications are sensitive to very little noise: a tiny perturbation in the input makes the result totally unpredictable. The main aim of the NOISE project is to understand what exactly makes a function noise-sensitive with different types of random input and random perturbations. As well as the three academy researchers, a fourth Hungarian scientist, Gábor Egry, from the Institute of Political History, was awarded the Consolidator Grant by ERC. Hungary excels in the EU13 region regarding the number of ERC grants: 40% of all grants awarded for the region were won by researchers working in Hungary. However, these grants are generally limited to some of the institutes of the Academy and CEU. To catch up with the results of EU15 countries, new scientific research centres are needed where excellent teachers and researchers can work and, also, existing universities and other research centres need to be strengthened.